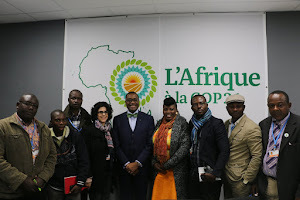 As negotiations intensify for a universally accepted climate change agreement that is expected to be signed in French capital, Paris this year, the African Group of Negotiators has made it clear that it is not going in for any deal that disfavours the continent. `Paris is similar to Copenhagen in terms of the expectations. This is the time that we close the ambition gap in terms of emission reduction and provision of means of limitation that supports the need of developing countries for adaptation.Unless we have sufficient support, means of implementation, Africa will face a lot of challenges in terms of its development because development iswhat makes the basis for the African group of Negotiators. That is why Africa will not sign any Paris agreement that will not include its demands` said Nagmeldin Goutbi Elhassan, Chairman of the African Group of Negotiators under the United Nations Framework Convention for Climate Change (UNFCCC). `The negotiations are still tough for Africa. Beyond the contribution in terms of financing, the most important thing that African countries are looking for is the level of commitment for emission reduction` said Mounkaila Goumandakoye, UNEP Director and Regional Representative for Africa. `If this level of commitment is not high enough, we are going, with regards to this continent in particular, beyond the two degrees target` he added. Both men were speaking in Egypt at the ongoing African Ministerial Conference on Environment (AMCEN).The Conference is holding barely a month after the United Nations Geneva climate change conference that designed a draft textthat will guide negotiators to the Paris agreement. `The text that we developed in February in Geneva includes all the submission by the African group. The text so far has the entire basis for us to negotiate an agreement` said Nagmeldin. With droughts, erratic rainfall, floods affecting millions across the continent, Africa sees itself as the most vulnerable to the adverse consequences of climate change and is pushing forward an agenda that will solve the problems. According to Nagmeldin, Africa wants a Paris climate agreement that will prioritize adaptation, that is, those activities that make people, ecosystems and infrastructure less susceptible to the impacts of climate change. `Africa is highlighting the need for mitigation target and also multilateral legally-binding agreement that will ensure that the objective of the emission reduction will be achieved, finances secured, technology transferred and means of implementation.Africa also wants to ensure that adaptation is fully considered and given the same priority as mitigation because for us in Africa adaptation is the key priority in the 2015 agreement` Nagmeldin said and quickly added that those responsible for emitting will have to bear the responsibility of leading the mitigation and adaptation efforts . This position has also been adopted by the African Civil Society but it is in sharp contrast to China and U.S.A that are emphasizing mitigation and a share of responsibility for all. `Now certainly, the biggest emitters, including the United States – and I’m proud that President Obama has accepted that responsibility – have to contribute more to the solution. But ultimately, every nation on Earth has to apply current science and make state-of-the-art energy choices if we’re going to have any hope of leaving our future to the next generation to the safe and healthy planet that they deserve.Now, I know this is difficult for developing nations. We understand that. But we have to remember that today more than half of global emissions – more than half – are coming from developing nations. So it is imperative that they act, too` John Kerry, U.S Secretary of State stated during UN Conference on climate in Peru in December last year. 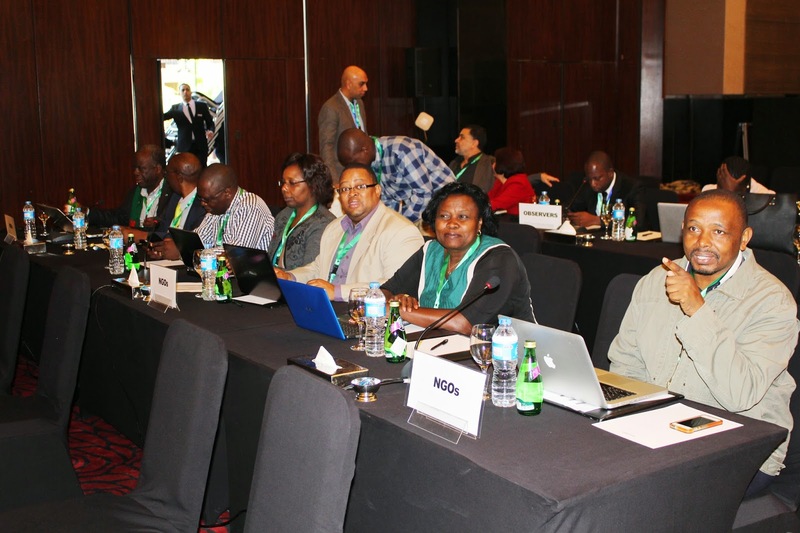 African environment ministers attending AMCEN in Egypt are expected to review and adopt an African Union Climate Change Draft Strategy that will help negotiating in defending the continent.